Share your #love4whales by posting images of people helping whales and dolphins around the world. Share your pictures of people watching whales, talking about whales, making whale crafts, and celebrating whales, with a link back to this page. Instead of a simple donation why not enjoy one of the exciting perks generously donated by the World Cetacean Alliance's Partners. Have you always wanted to adopt a whale...well now's your chance. Thanks to the World Cetacean Alliance's partnership with Happywhale you have the opportunity to adopt a whale for a year. Discover a full list of these exciting perks and more in the perk list. 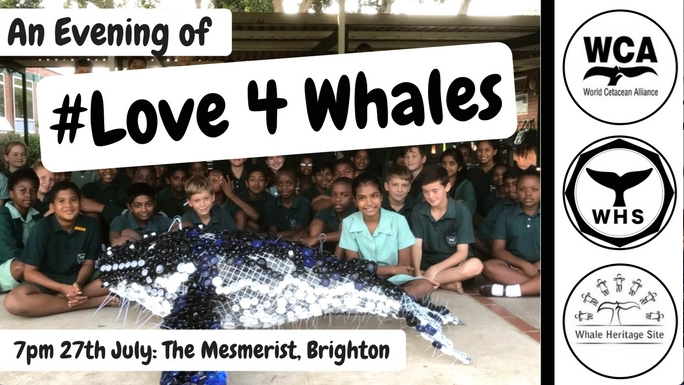 Join us for an evening of #love4whales. With 10 unique stories about whales and dolphins presented by expert speakers, short film and more...this is a night not to be missed! Come down to the Mesmerist, Brighton on the 27th July to join us, we can ensure that you'll have a whale of a time! 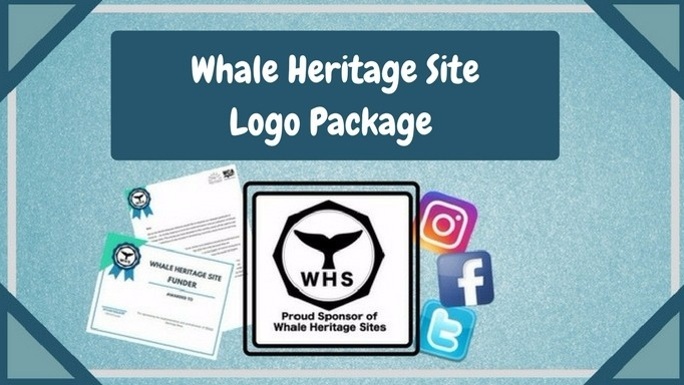 Receive a 'Whale Heritage Sponsor' Logo Package for your business to demonstrate your support and sponsorship of Whale Heritage Sites. The WHS Logo Package includes: Logo file formats for download (Jpeg/Png etc.). Press package including recognition on social media (Facebook/Twitter/Instagram) and the WCA website. A funders certificate, signed letterhead and logo window stickers. 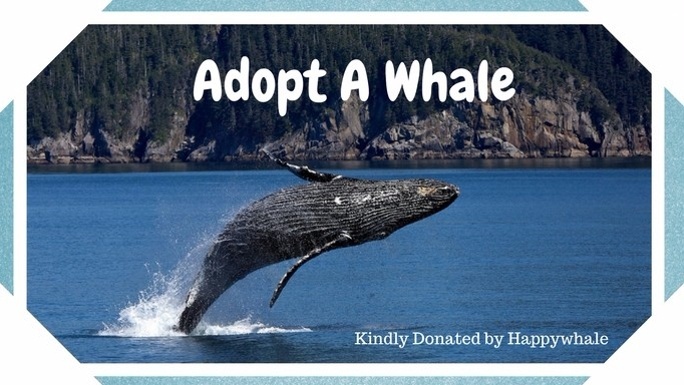 The WCA have partnered with Happywhale to enable you to adopt your own whale for a year! For the adoption fee of just £60 you will receive a certificate with the adopted whale located closest to your area, information about your whale, and the chance to keep up to date with sightings on the Happywhale website. 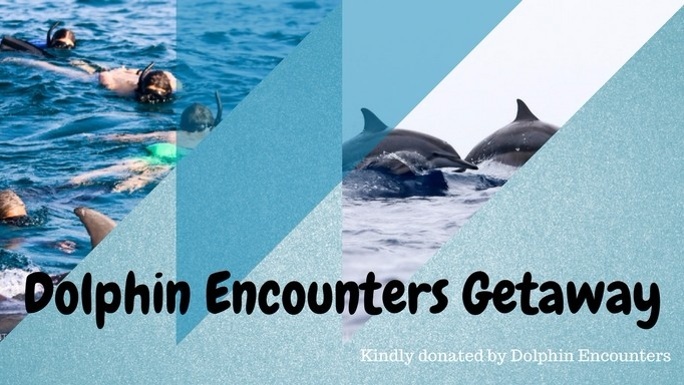 Kindly donated by the Dolphin and Whale Connection. 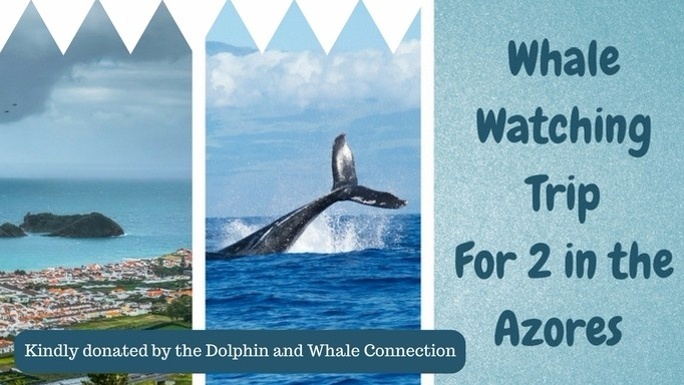 This voucher (valid for 6 months) entitles a whale watching trip for 2 located in the stunning Azores. One of the best places in the world to see whales and dolphins, this is an exciting opportunity to sight Sperm Whales and a variety of other cetaceans. For more information visit: http://www.dolphinandwhaleconnection.com/blue-whales-fin-whales-sperm-whales-5 *Flights, transfer and accommodation not included*. 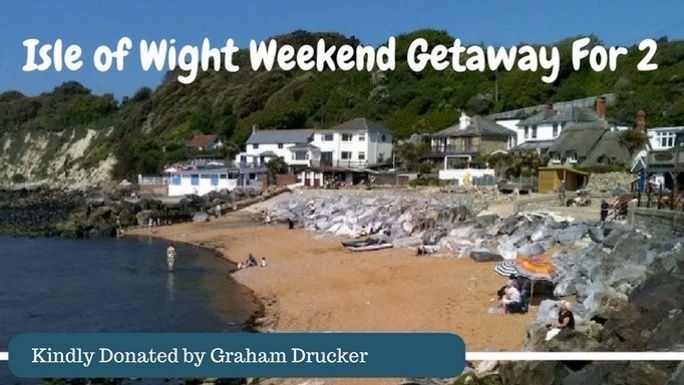 Tips on places to stay and what to do in the local area will be provided by the Dolphin and Whale Connection. 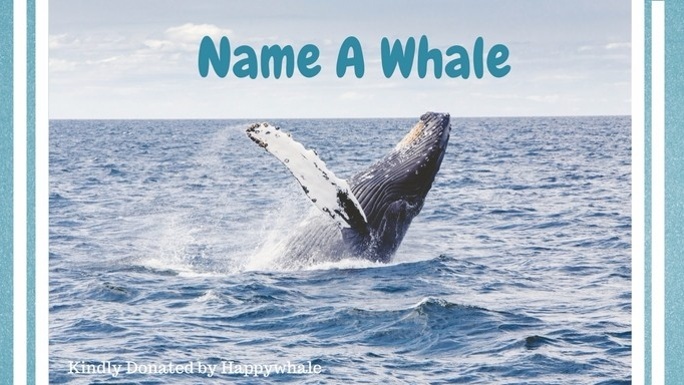 The WCA have partnered with Happywhale to provide you with the once in a lifetime chance to name a Whale! 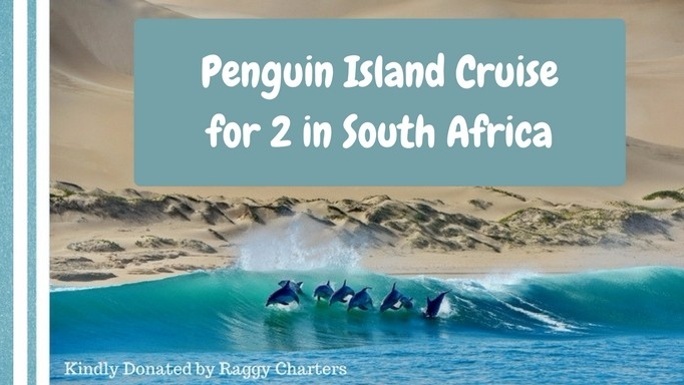 Included in this package you will receive a certificate with the name of your choice, information about your whale, and the chance to keep up to date with sightings on the Happywhale website. * £1,684 in offline donations included in total.